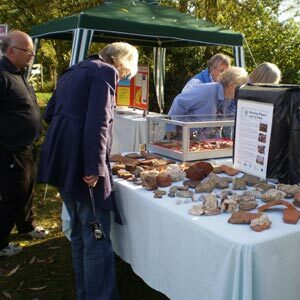 The Woking Palace and its Park Archaeological Excavation 2013 filled all the volunteer places on the excavation. 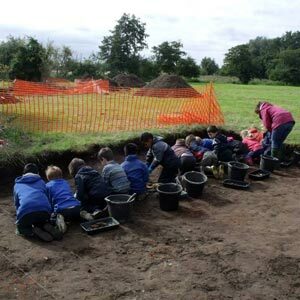 Children from local schools participated and members of the public signed up for the ‘Dig for a Day’ programme in the community archaeology trench. 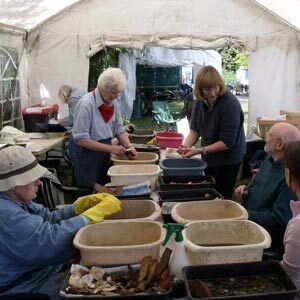 Experienced volunteers dug for longer periods in the other trenches. 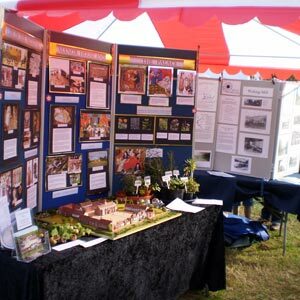 The excavations were designed to increase our understanding of the environment in which the medieval Manor and Palace developed. 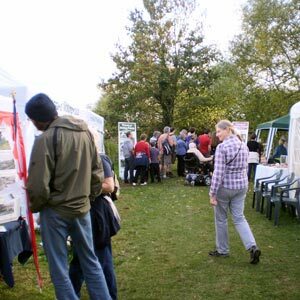 For safety reasons the site was closed to the public while the trenches were being dug, but there was a public Open Day on a warm, sunny Sunday on the 6 October for visitors to view the trenches and learn more about the Woking Palace and its Park. Three trenches were opened in 2013. 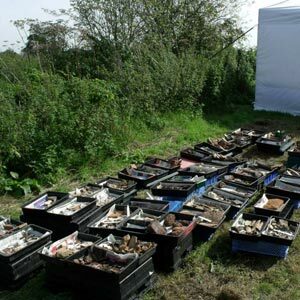 There remains quite a lot of work to do on the finds and other information before a report can be prepared. 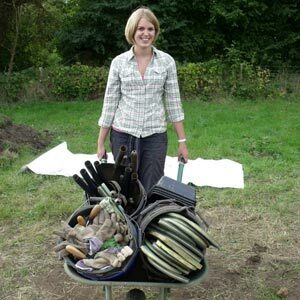 It is already clear that some very important results have been obtained from this season's dig. 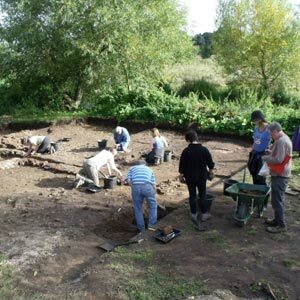 Trench 17 was opened in an important position next to the river where the water from the moat (now completely silted up) left the Palace site. 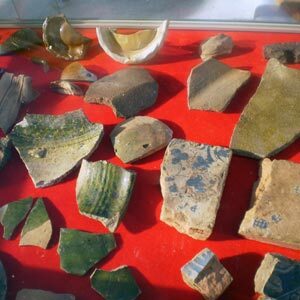 Brick foundations that were part of a substantial rectangular brick building were found, as well as other foundations, some forming part of the Queen's Gallery. Trench 18 explored the large medieval kitchen, parts of which had been previously examined. 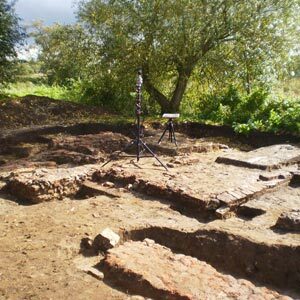 It appears that an early set of hearths were in the central area of the kitchen. 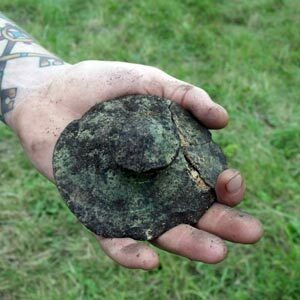 When these were taken out of use they were covered by a clay floor, and the replacement hearths were set against the north wall. 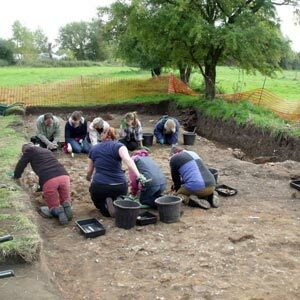 Archaeomagnetic dating has indicated that this change happened in the later 13th century, suggesting that the original kitchen belongs to the earliest phase of occupation on the site. 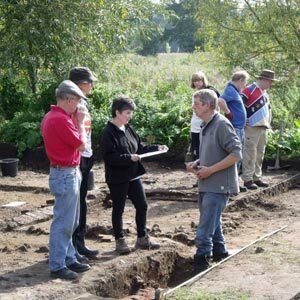 Trench 19, exacavated by community volunteers, examined a portion of the huge new Tudor kitchen that was built as part of the major reorganisation under Lady Margaret Beaufort between 1485 and 1503. 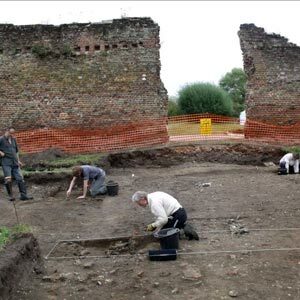 The remains proved to have been badly robbed out but a large rectangular area filled with demolition rubble was clearly an example of the deep pits dug to create brick piers placed at intervals along the line of the walls, and then linked by arches to support the continuous walls above. Read about the some of the discoveries from each of the three 2013 trenches (PDF format).